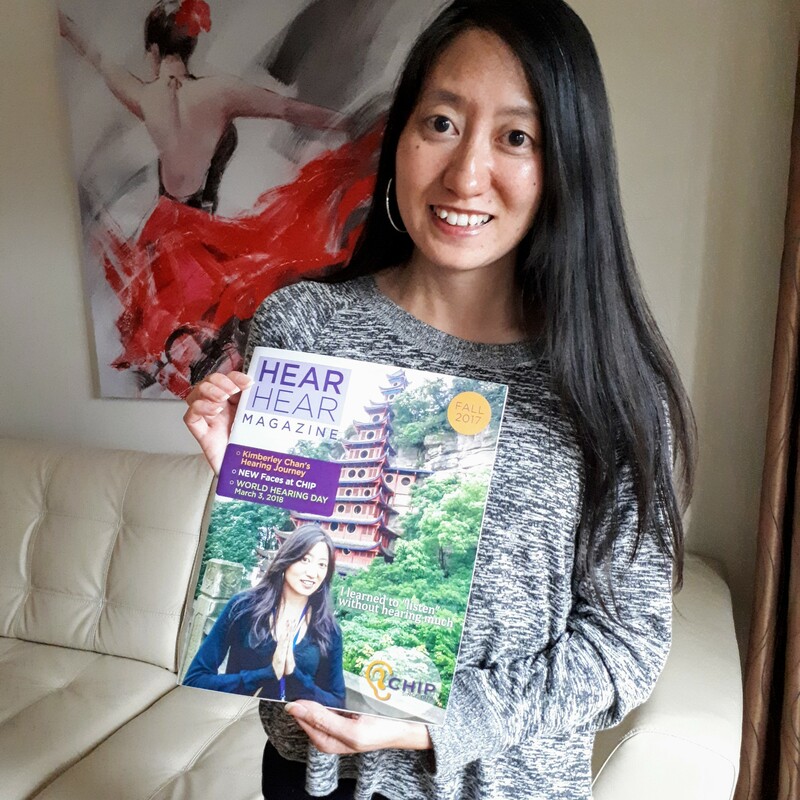 I’m on the cover of this month’s HearHear Magazine. You can read the issue which features an article I wrote in it here. This summer, I had the amazing opportunity to speak in some classes, support groups and address the keynote at the CHIP Annual General Meeting. CHIP is an organization that offers support to individuals who are learning to cope with the emotional and physical after-effects of hearing loss. A year and a half ago, I could not even imagine talking to more than one person at a time. A crazy, scary adventure begin when I suddenly loss all my hearing in a couple of minutes and had to wait almost a year to get it all back. You can read about The Day My Life Changed and learn about the whole (mis)adventure. The two things I learned from all this are things that we hear everyday, but don’t really live by them until things we take for granted are taken away from us. Everyone should remember that perseverance is the key to happiness. This sounds like the most clichéd Instagram quote, but I learned the hard way that this is true. Also, if there’s something you really want to do, do it now because you never know what life will throw at you, and unfortunately, life just gives out whatever it feels like. Read this month’s issue of HearHear Magazine.